In a response to US President Donald Trump’s suspension of refugees and travel bans on some Muslim majority countries, Seattle-based American coffeehouse giant Starbucks has said that it will hire 10,000 refugees over the next five years. In a letter to employees, Starbucks chairman and CEO Howard Schultz said that the hiring by the coffeehouse chain company would apply to stores across the world. He added that the company would hire in US immigrants who had served with the US troops as interpreters and support staff in various countries having US military presence. “We have a long history of hiring young people looking for opportunities and a pathway to a new life around the world. “This is why we are doubling down on this commitment by working with our equity market employees as well as joint venture and licensed market partners in a concerted effort to welcome and seek opportunities for those fleeing war, violence, persecution and discrimination,” Schultz said in the message posted on the company’s website. On Friday, Trump signed an executive order that banned people from seven Muslim countries including war-ravaged Syria, Iraq, Somalia, Sudan, Yemen, Libya and Iran from entering the US. More than 65 million people in the world are recognised as refugees by the United Nations Organisation. Starbucks joins several big Silicon Valley companies including Google in opposing Trump’s order. Here are 10 interesting facts about the coffeehouse company that has over 24,000 stores around the world. 1.Starbucks was founded on March 31, 1971, by three partners – an English teacher Jerry Baldwin, History teacher Zev Siegl and writer Gordon Bowker – to sell high quality roasted coffee beans. The first store opened at 2000 Western Avenue in Seattle but was shifted five years later to 1912 Pike Place. The store is still there. 2. Initially, Starbucks sold only roasted coffee beans and served brewed coffee as free samples. By 1986, however, the company started selling brewed coffee in six stores. 3. 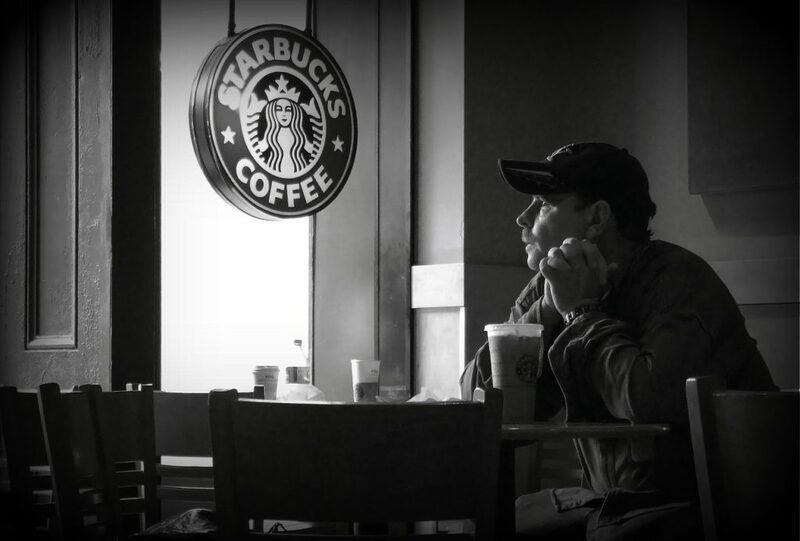 A year later, Howard Schultz, who had worked for Starbucks, bought the chain from the original owners and started expanding it aggressively outside Seattle. By 1989, he had opened 46 Starbucks stores across the US that roasted over 9 lakh kg of coffee. 4. In June 1992, Starbucks launched its initial public offer on the stock market and its share price zoomed to 70% within three months. The company having 140 stores was valued at $271 million at that time. 5. The first Starbucks store outside US was in Tokyo in Japan in 1996. Two years later it entered UK after acquiring 56 stores of another company, Seattle Coffee Company for $83 million. During the same time, it entered the tea business also. 6. Presently, the coffee chain company has over 24,000 stores across 72 countries in the world. The highest number of 11,962 stores is in US only. It is followed by 2,500 in China, 1,445 in Canada, 1060 in Japan and 985 in South Korea. Besides coffee and tea, the stores sell sandwiches and baked foods. 7. The company, which employs around 2.40 lakh employees worldwide, had annual revenue of $19 billion in 2015. 8. In 2012, Starbucks formed a 50:50 joint venture with Tata Global Beverage and started its first store in India at Mumbai. Now, there are 73 stores of Starbucks in India. 9. Since the last seven years, Starbucks have been donating leftover food to food banks in US. In March last year, it launched a project of donating 100% unsold food from its stores in US in collaboration with Food Donation Connection and Feeding America. 10. The Starbucks logo is the image of a twin-tailed mermaid. Since the inception of the company, the logo has changed thrice.